In the early 1970s renowned scientist Linus Pauling published a theory that said taking large amounts of vitamin C provided protection against cancer. In many ways, that theory damaged his reputation, since most of his colleagues didn't agree and tests of his theory didn't pan out. But Pauling may have been right after all. A study in the journal Science suggests vitamin C can kill tumor cells that carry a common cancer-causing mutation and — in mice, at least — can curb the growth of tumors with the mutation. Will it work on humans? That has yet to be put to the test in a recognized clinical trial, but if it does, it could be game-changer in the treatment of a large swath of tumors that has lacked effective drugs. 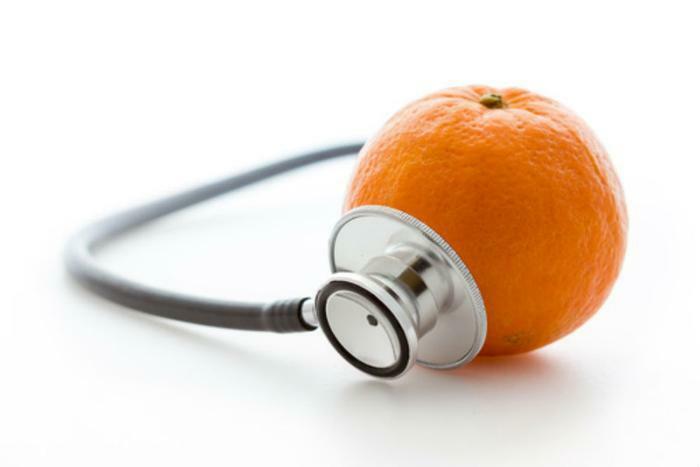 "This could be one answer to the question everybody's striving for," said molecular biologist Channing Der, of the University of North Carolina, who has been working on ways to use vitamin C against tumors. The foundation website publicizes other scientific articles, including a 2012 study suggesting supplements containing vitamin C might help prevent breast cancer, when taken over a long period of time. While Pauling's theories about vitamin C and cancer generated considerable enthusiasm at first, that faded after two clinical trials putting his theory to the test failed to produce the desired results. But the new study says Pauling missed one important detail. To be an effective weapon against cancerous tumors, vitamin C must be administered intravenously to reach doses high enough to to be effective. Specifically, the study found colorectal cancer cells with certain mutations "handle" vitamin C differently than other cells. It's this difference, researchers say, that ultimately kills them. It may take more than one study to remove the controversy that currently surrounds vitamin C theories. But researcher Mark Levine, of the National Institute of Diabetes and Digestive and Kidney Diseases is hopeful that will change and that the medical community will begin to pay attention to to the possibilities.